Forward thinking, London born, Berlin based artist Dax J, is at the helm of cutting edge music, constantly striving to push the boundaries of audio manipulation into new realms unexplored. Label owner of “Monnom Black”, one of the 3 founding members of “EarToGround Records” and releases on seminal labels such as Deeply Rooted House, Mindtrip, ARTS and Fondation Sonore. Dax has seen his music remixed by some of the scenes biggest artists from the likes of Phase, Ryan Elliott, Truss, Shifted, Jonas Kopp and Mark Broom. In 2013 Dax started his own imprint “Monnom Black” a project that has seen music from artists across the globe establishing Dax’s ideal of techno. It has since gained huge support and has become a successful established go-to label for high quality techno. 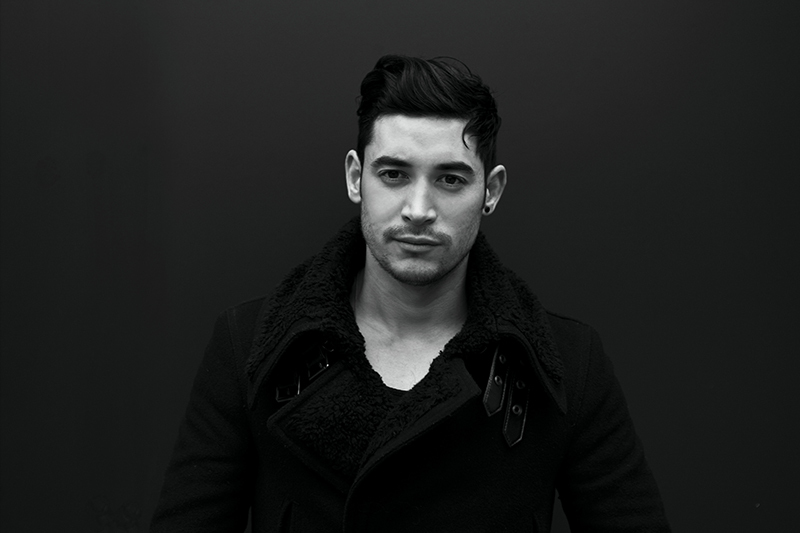 As a DJ, Dax J is known for his raw and powerful sets. Recent performances across Europe, Asia & South America at various clubs and events including the likes of Dommune (Japan), Exit festival (Serbia), and Cocoliche (Argentina) to name a few. His techno sound reflects his early roots of pirate radio and underground raves. Dax grew up listening to the UK sounds of Jungle, Drum n Bass and Garage. Being heavily influenced by the likes of Goldie and Bad Company, his love for the underground meant he soon started dj’ing on pirate radios at an early age of 15 whilst he was still at school. He became an avid vinyl collector buying from his local record store “Black Market” on a weekly basis whilst at the same time producing and crafting his sound. His first vinyl releases would come in 2005 on old Jungle labels like Mickey Finn’s “Urban Takeover” under alias “Dangerous” and his own imprint back then “Xplicit Sound.” Following on from this Dax went on to discover the sounds of techno during one summer spent in Ibiza. From this point on his passion for cutting edge 4 by 4 beats took over but the old jungle influences are still heard today in his dj sets and productions. Past and current music have earned Dax plays from some of the most respected names in underground dance music as well as receiving BBC Radio 1 airplay. Degree educated in Music Technology, Dax runs his own studio in Berlin, where he also works as an in demand sound and mastering engineer. With a stack of music set to be released and a busy gig schedule over the rest of the year the future is looking bright for the British artist.